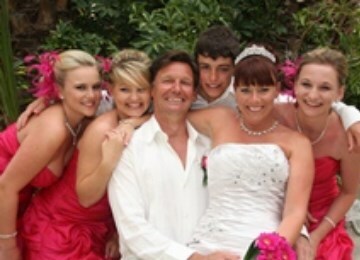 The title says it all... An 'Unforgettable Rhodes Wedding'! Thank you so much for arranging everything to do with our Wedding and I'm extremely happy you were part of it. It was a fantastic day and it all went perfectly to plan even the weather. It was . . . . Unforgettable. You have a fantastic team around you Justine the DJ Mark was great, I didn't have to worry about a thing once the day got going, he had it all organised and the tunes were spot on to get everyone up dancing, a great guy too. We were blessed with the weather, as we were able to go on our Champagne Cruise that (apart from Marrying Jonathan) was the highlight of the day. Being able to sail into Lindos and St. Paul's Bay was magical. Our family and friends will talk and remember it for a long time to come. It was an absolutely fabulous experience. Once again you and Tracy did a fantastic job and I couldn't have picked anyone better. Love and best wishes to you all and I hope you have a fantastic season. We considered several wedding planners in Lindos before choosing Unforgettable Weddings as we felt initially they gave really good value for money and I felt safe and assured that everything would be taken care of after we had spoken a few times. We are so delighted with how everything went in the run up to, and on the actual day. Justine was very warm, extremely efficient, she listened to all the finer details we envisioned for our wedding day and gave good practical planning advice on how best to achieve these. I am so thankful for her advice and guidance when it came to arranging and completing the complicated paperwork prior to our wedding! We plan to renew our wedding vows at St Pauls chapel in the future and would definitely go with Justine and the ladies at Unforgettable Weddings! Shalla and I wanted to say a massive thank you for what a wonderful job you and your team did of organising our wedding in Rhodes. Organising a wedding in Rhodes without having even visited the hotel or island before was very daunting but your guys took care of everything! After the big Asian wedding in London we wanted a very stress free but still beautiful wedding in Rhodes, and that is exactly what we had! We were very impressed at how well you took care of every detail in just one meeting so it meant we were able to relax and really enjoy ourselves rather than spend days organising all the bits for the wedding. From beginning to end the wedding was perfect, there is nothing I would have wanted differently. From arranging the welcome gifts for all our guests to making sure all our chair sashes were ironed, we couldn't have done it better ourselves! The Wedding was stunning! It was so nice to hear from all of our guests that it was the best wedding that they had ever been to. 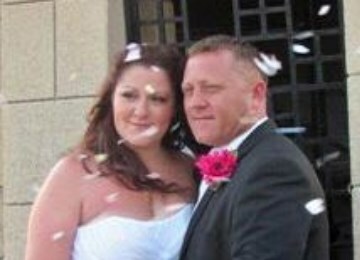 The hotel with your help had made the ceremony on the beach with breath taking views look amazing and very grand. Our wedding in Rhodes was just amazing! You and your team made it possible to combine our Greek and Swiss background and to celebrate a fantastic day. Everything ran on time and was well organized. We really appreciated the time you spent for making our wishes come true. Our guests from Switzerland as well as the ones from Rhodes were very happy and enjoyed the day! Ges and Melinda from Avalon Photography did an excellent job, the pictures are just wonderful. We would also like to thank Samina, she knew exactly which hairstyle is best for me - even if it's windy! If you are looking for a DJ/singer, ask for Mark! We can really recommend every single couple to choose you as their wedding planner, and: there is no island like Rhodes to get married!! !